The World is celebrating Mental Health Day today. The situation of Mental Health in Nepal has improved at least little bit due to the efforts of NGOs, mental health activists and the media. However, the government still remains unconcerned about this crucial issue. Talking about mental health financing by the government, less than one percent of health care expenditures are directed towards mental health. The department of health receives mental health data from the hospitals and primary health care centres but the data is taken under the broad heading of “mental disorders’. In other words, all mental disorders are included in one large category. (4) to improve awareness about mental health. The policy needs to be properly revised and redrafted again with necessary additions before it is passed and implemented. There is enough time for that preparation because it is certain that it will at least take few more years for the policy to be passed. Definitely, No! But this kind of misconception is widespread not only in Nepal but around the world. For example: if you go to the site of National Institute of Mental Health and read their slogan (Transforming the understanding and treatment of mental illnesses through research), you will get similar message that mental health is equivalent to mental illness and its treatment. I remember Martin Seligman writing in one of his articles that it should be renamed as National Institute of Mental Illness. Such misconception needs to be corrected through general awareness about mental health that it encompasses the state beyond the mere absence of diseases. This is true indeed. Mental health term usage and understanding is so varied among people. People mostly talk about problems and treatment or prevention. There is little space for those who wish to promote mental health. It is the same in case of Nepal. 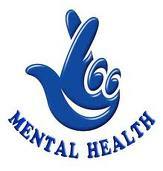 I think if we focus equally upon promotion of mental health, half of the problems are reduced or never occur. The research in positive psychology is helping us to understand how it could be promoted and what kind of interventions work. Therefore, I recommend there is a need of more doing research on psychological well-being and positive mental health.There is also a need of developing locally appropriate interventions for increasing psychological well-being for people in Nepal as it culturally differs from Western countries.